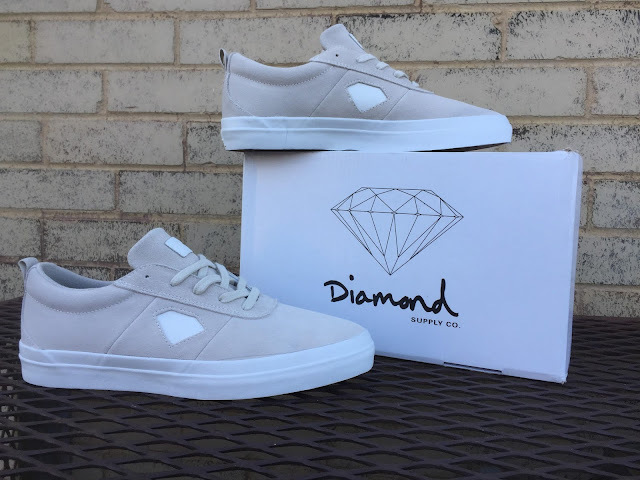 Boo Johnson's signature shoe with Diamond, the Boo J XL is a beefed-up version of the Boo J. 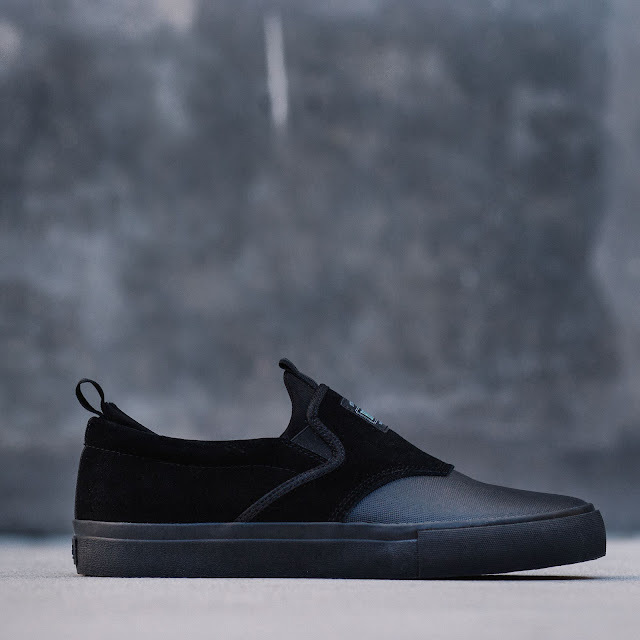 It features a premium suede upper with a INDUSTRUCT toe for added grip, a neoprine bootie that locks your foot in place, and a Foam PU insole for comfort and support. 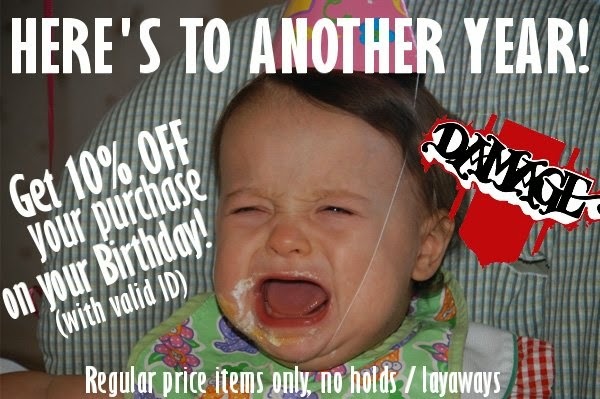 Classes have started but you still have time to save some $$$ on items throughout the store! 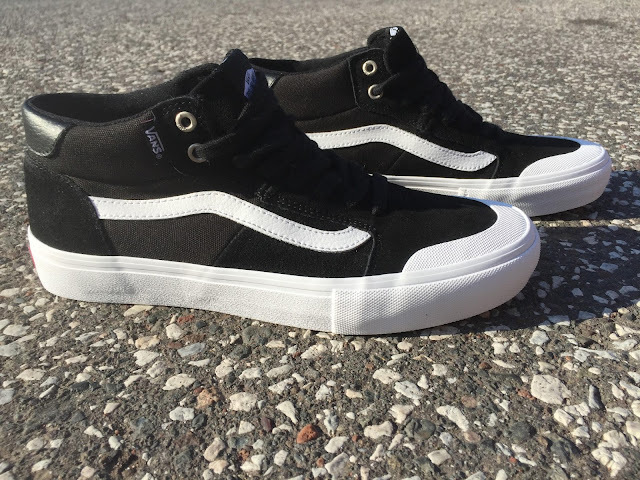 With over 15 Vans shoes on our wall, it's not hard to find something for skating or just kicking it around town. 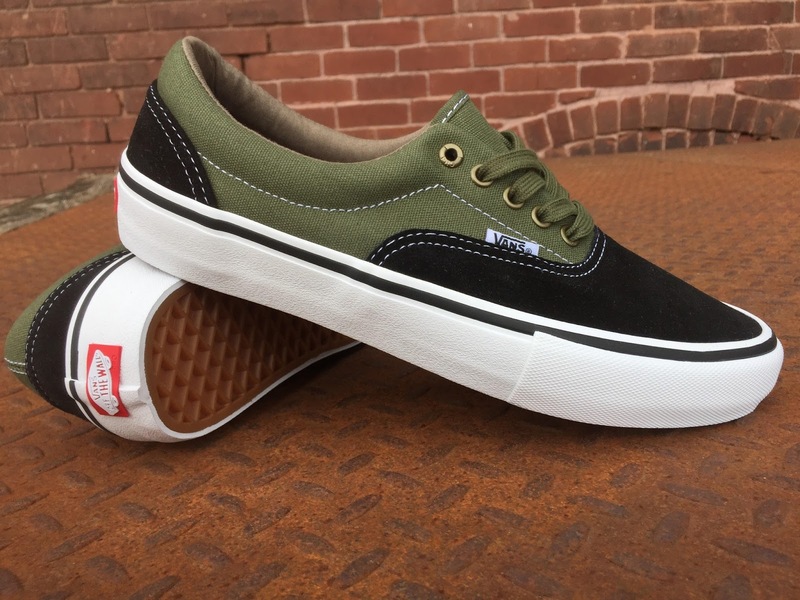 Buy any regular priced shoe and grab a sale pair for $35 as part of our Back To School Sale. Think you've got the skills and determination to take home "The Jacket?" Come out to The Pocket Park with your game face on Saturday, September 16th at 1:00. This event doesn't disappoint! See you there. 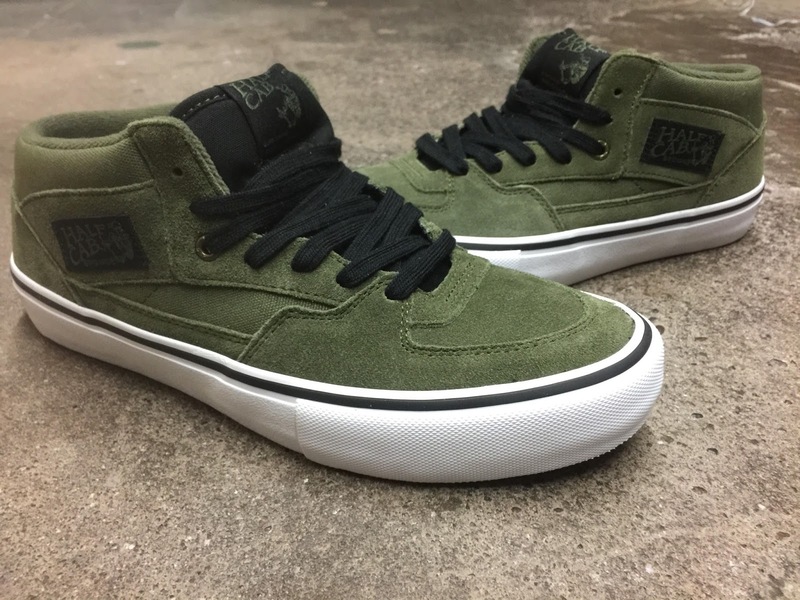 The Owen VLK is Nico Haraga's first shoe with Lakai and it's about as fresh as a bouquet of flowers. Made with plush suede and extras like custom insole art, you don't want to miss out on this one. 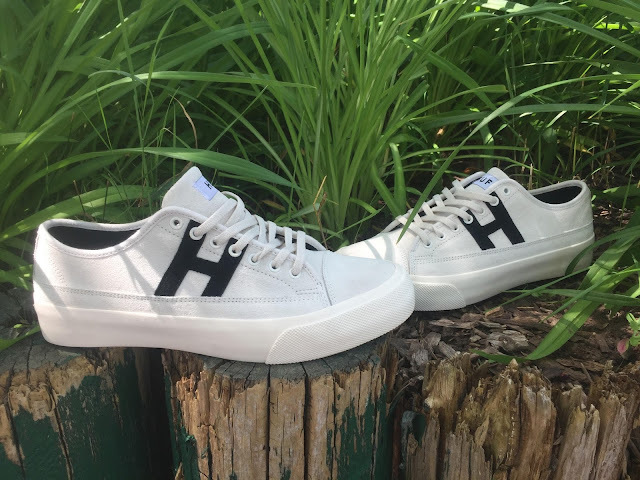 New drop from the folks at Huf. 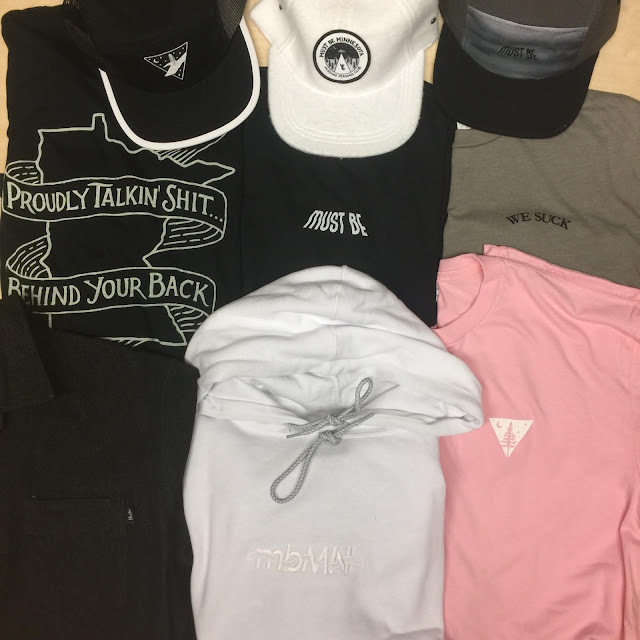 Tees, longsleeves, jackets, and caps. 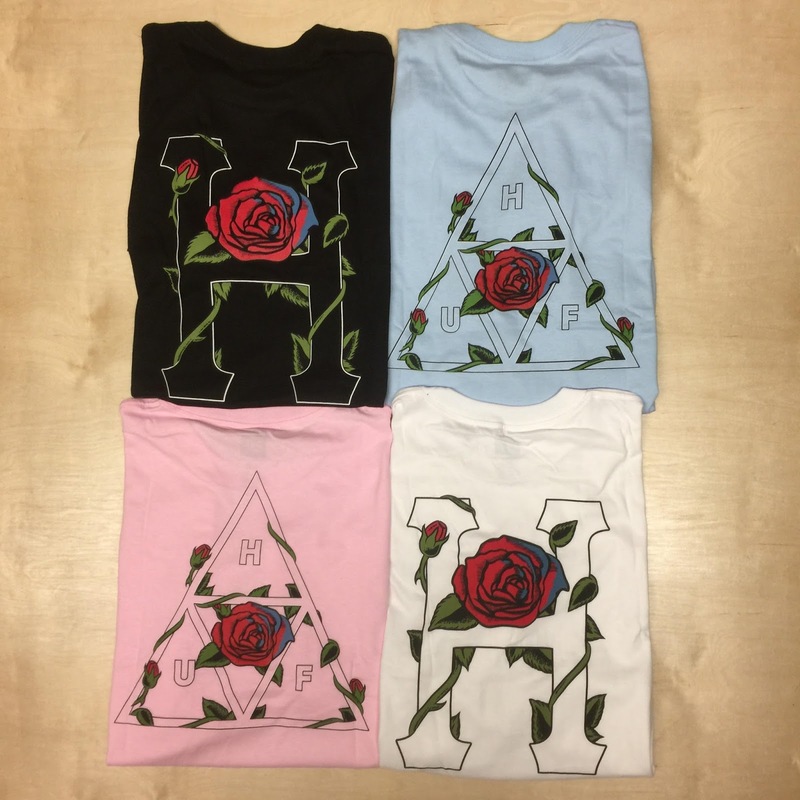 Wake up and smell the roses. *Buy 3 tees and get a 4th free! 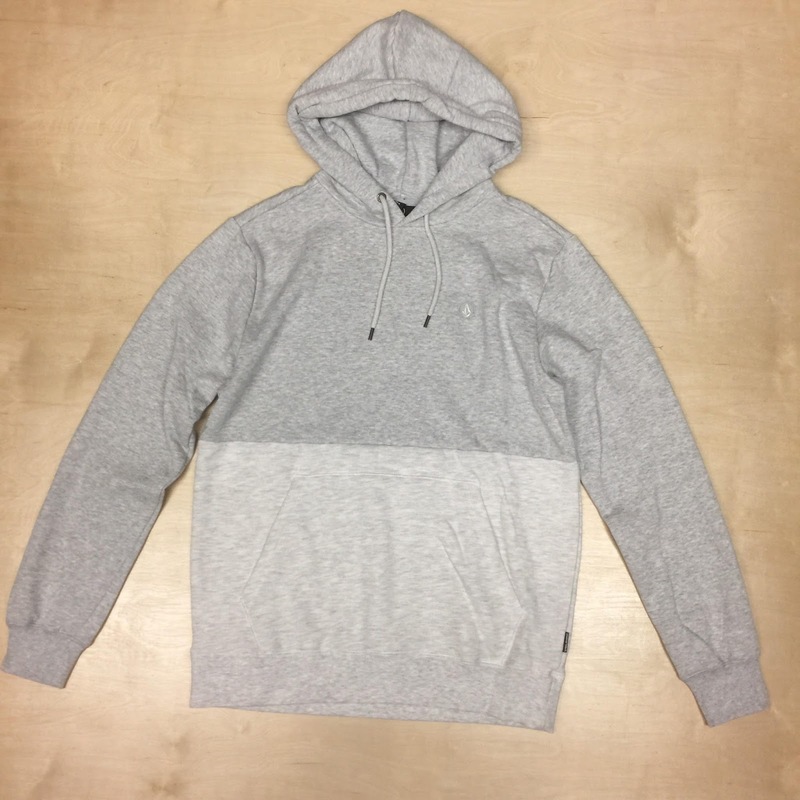 *Buy 1 hoody, flannel, or button up and get a 2nd 30% off! 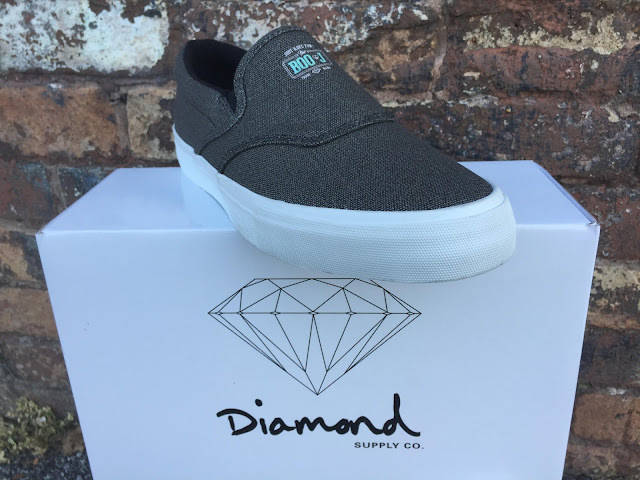 Boo Johnson's first shoe with Diamond, the Boo-J is designed as a vulcanized slip-on style shoe with canvas upper, reinforced paneling, and a padded collar. Made for good times! The Icon is constructed with premium suede, a super comfortable PU Foam insole, and a sticky gum rubber outsole for maximum grip and boardfeel. 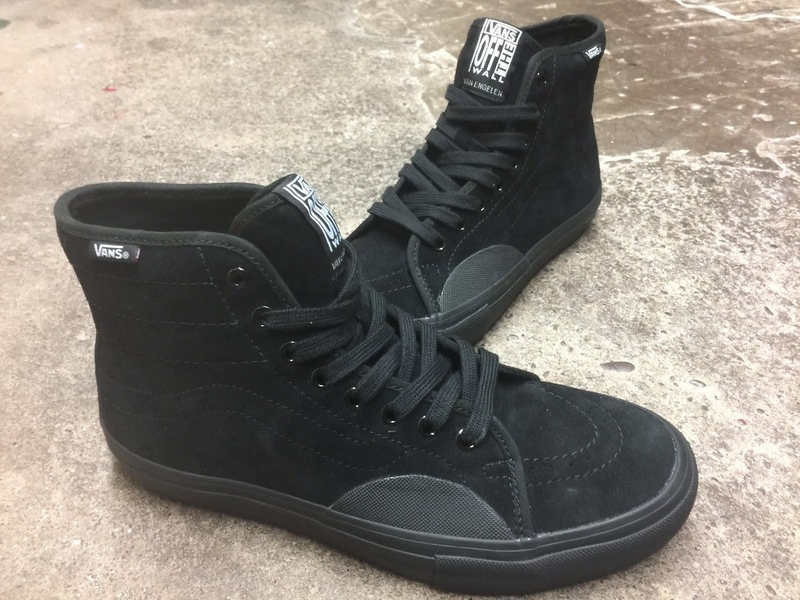 A great skate or lifestyle shoe. 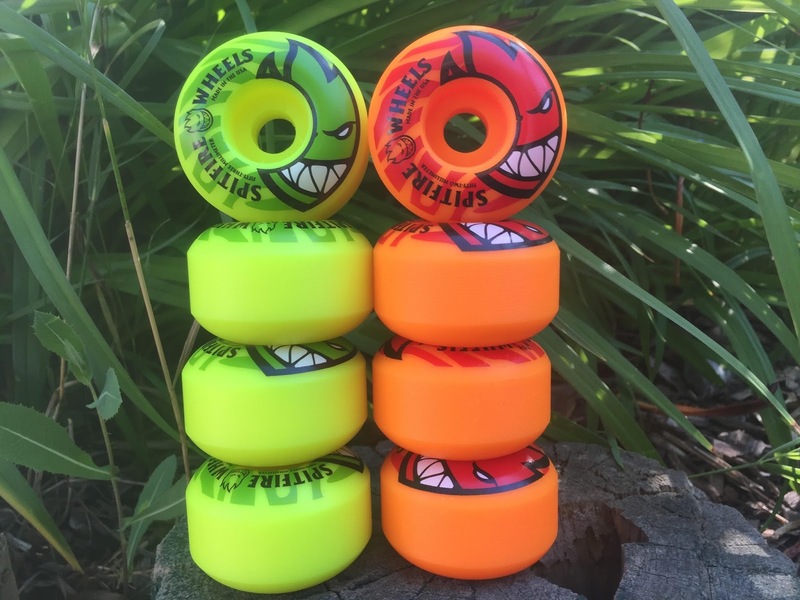 When it comes to wheels, not many do it better than spitfire. mbMN has been one of the most impressive local brands since their inception in 2010 and we back them 100%. 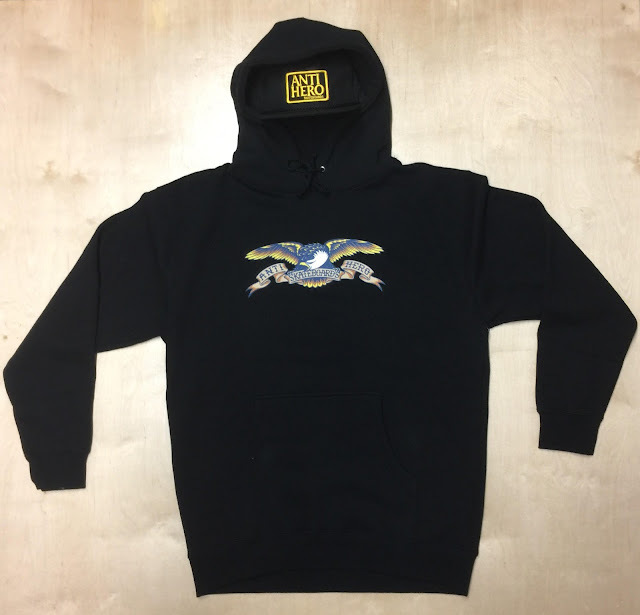 Come check out their selection of hats, tees, hoodies and more! 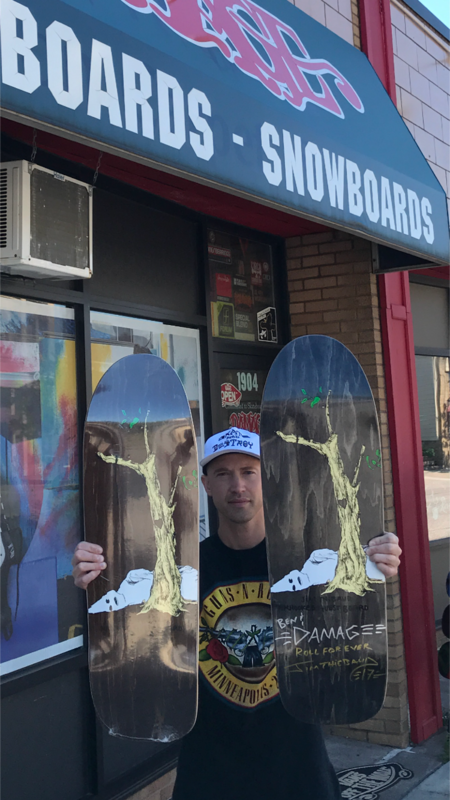 TransWorld SNOWboarding's seventh full length project, "Arcadia" drops October 10th, 2017. The film documents snowboarders in a perpetual pursuit of paradise. Watch the teaser and get hyped! 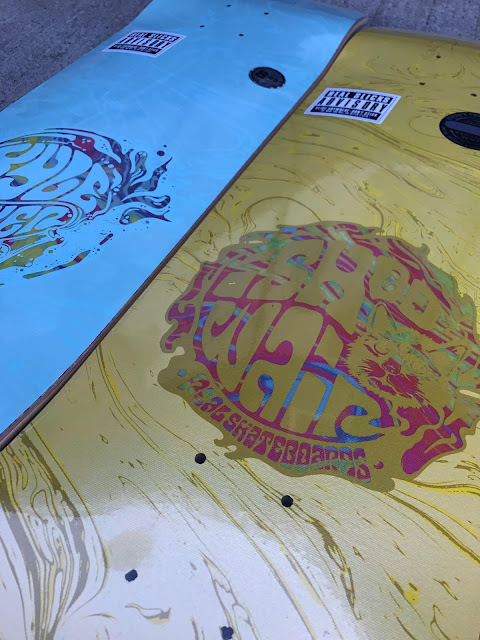 Behind the scenes episodes will come out each week leading up to the movie's release and up first is one of Minnesota's heaviest rail riders, Jesse Paul. Converse brings their classic Chuck Taylor look to a skate shoe with the CTAS Pro High Tops. 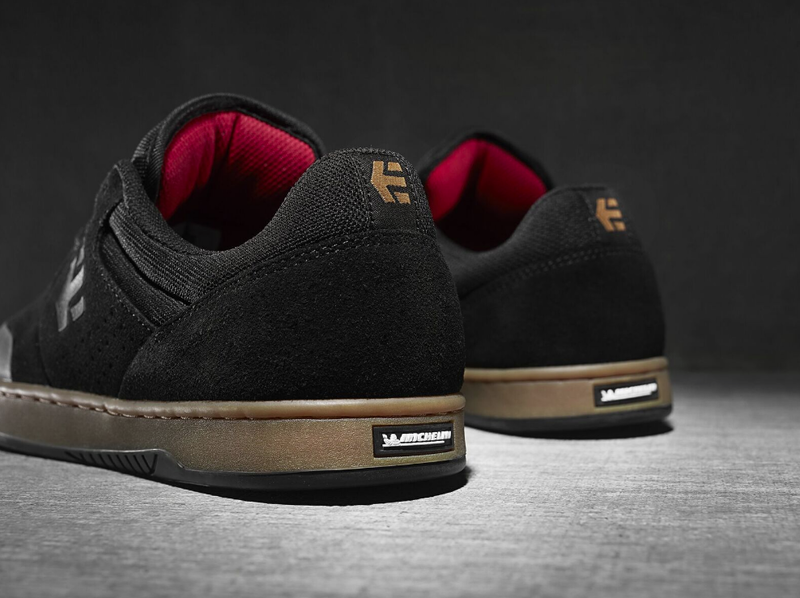 The canvas on this shoe sits on top of durable pink suede which becomes visible after you skate them. 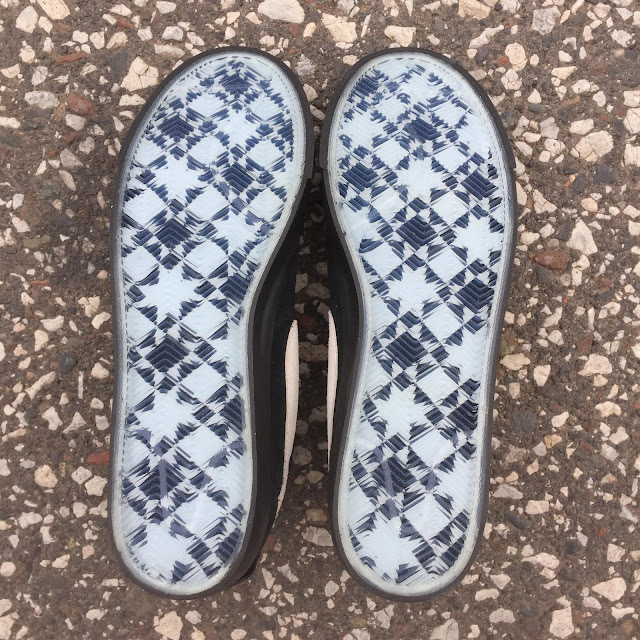 Lunarlon foam and CONS traction rubber make them comfortable and grippy. As part of our summer sale buy any regular priced shoe and get a pair of sale shoes for $35! 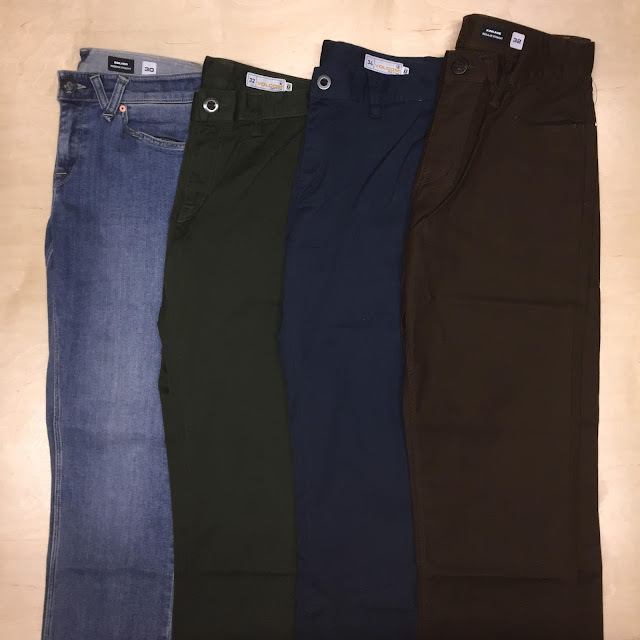 Volcom is back at it again with some slick polos, hoodies, and pants. 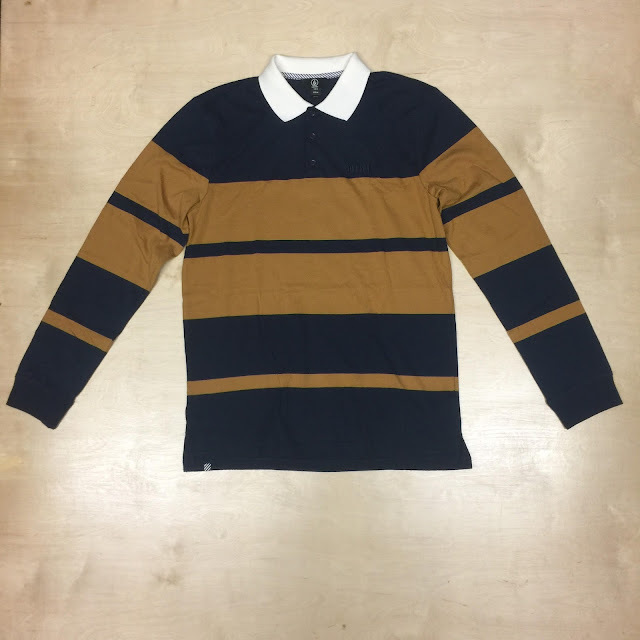 Swing by and re-up your wardrobe! 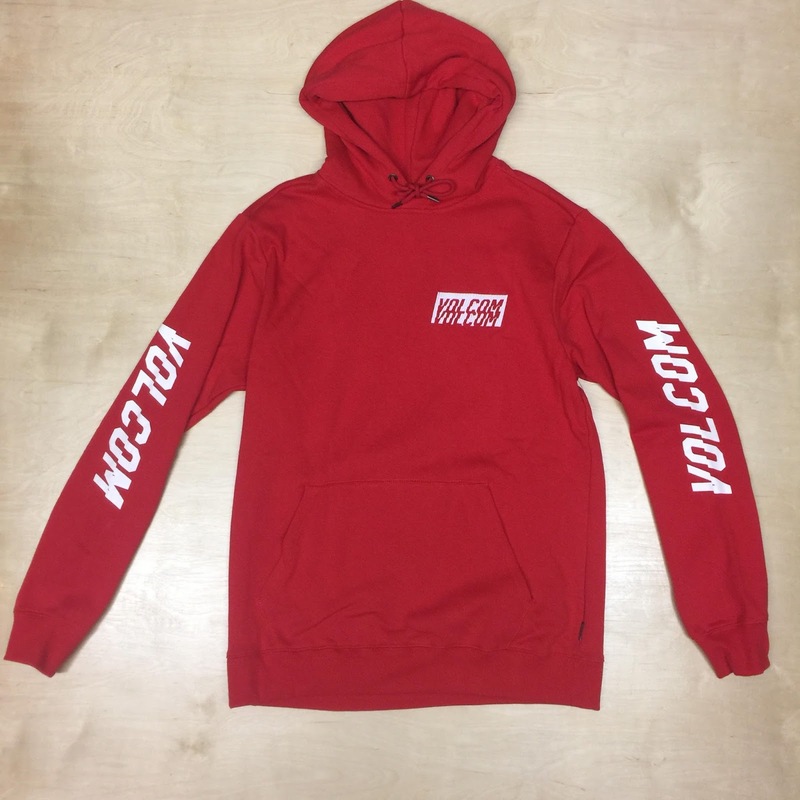 Buy 1 hoody, flannel, or button up and get a 2nd 30% off! 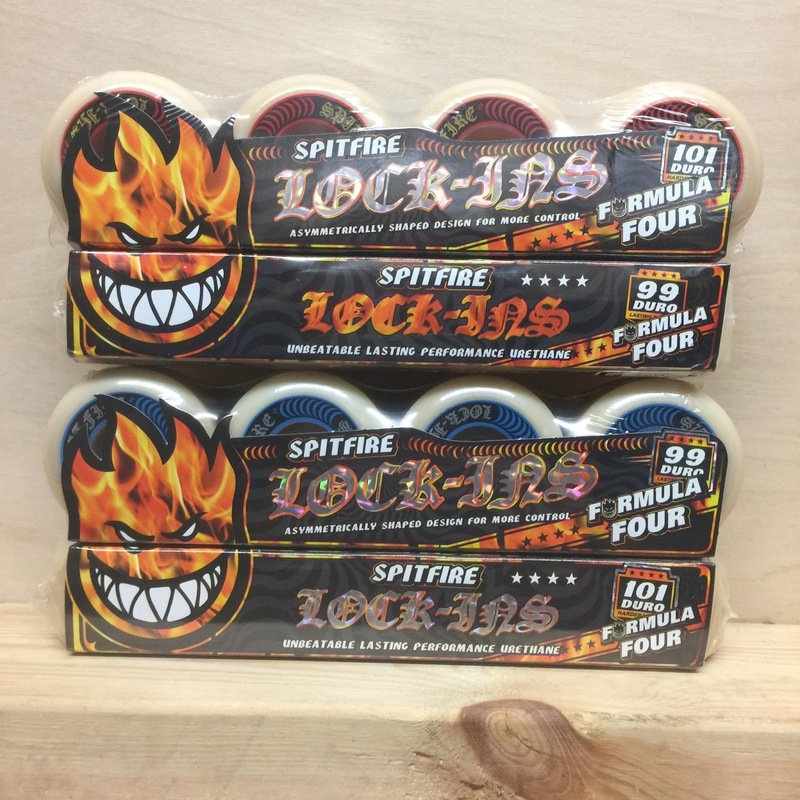 Introducing the new "lock-ins" from SPITFIRE. These new "Formula Four" wheels are designed with an asymmetrical shape featuring a conical profile, built for more speed and control on all surfaces. 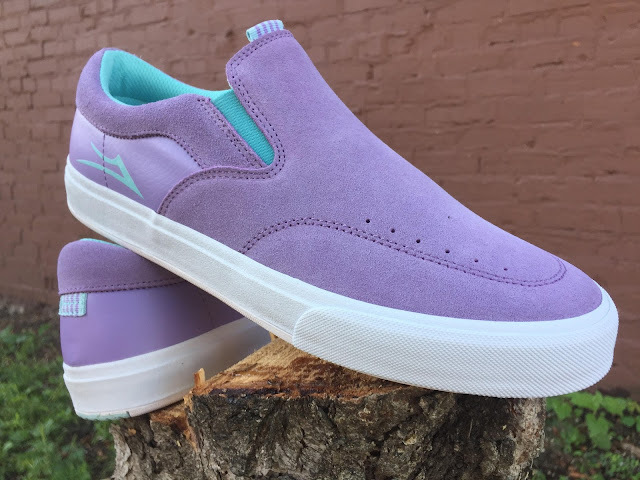 Venture "AWAKE" and the "GET RAD" models. 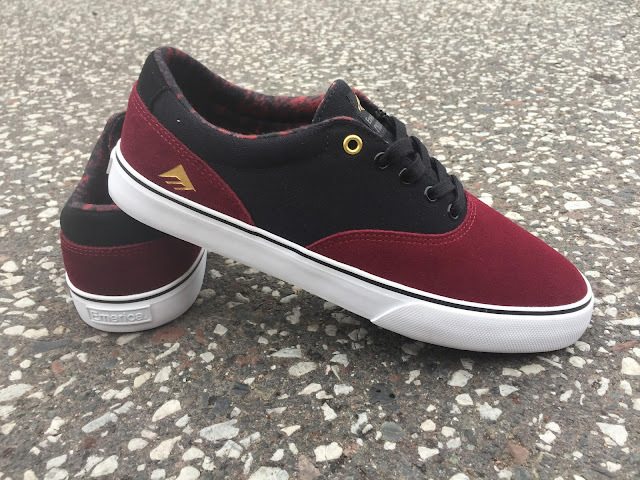 Collin Provost's new shoe from Emerica, the Provost Slim, has a traditional vulcanized construction, one-piece toe cap, and features Triangle Tread on the bottom for maximum feel and grip. 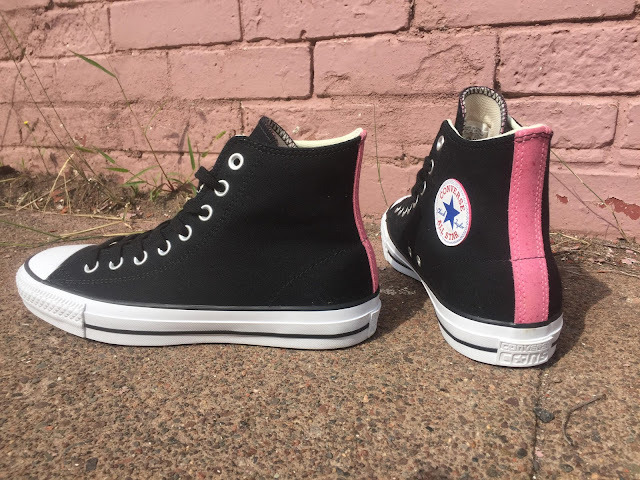 For $54.95 this shoe is a hit! 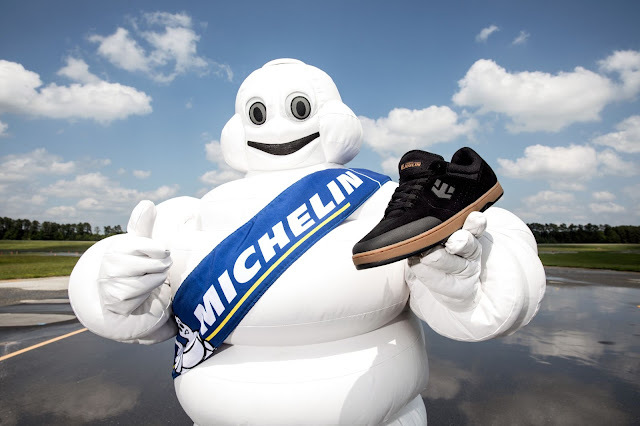 As part of our summer sale, buy any regular priced shoe and get a pair of sale shoes for $35! Jim Thiebaud is a skate icon who recently signed and gifted Ben one of his new guest decks from Krooked. It's great to see these relationships form in the industry. 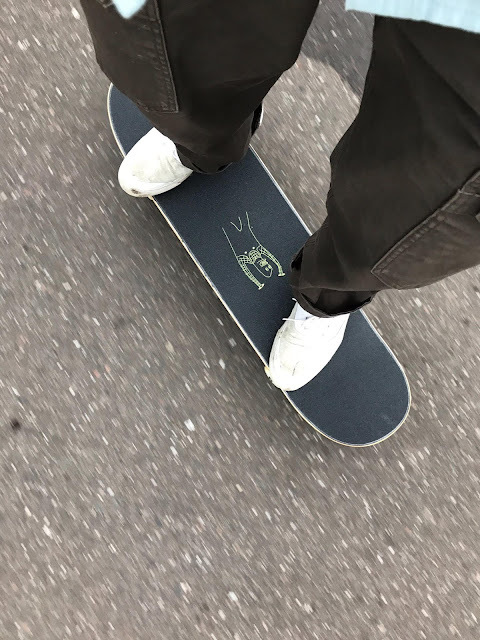 Skateboarding rules!! 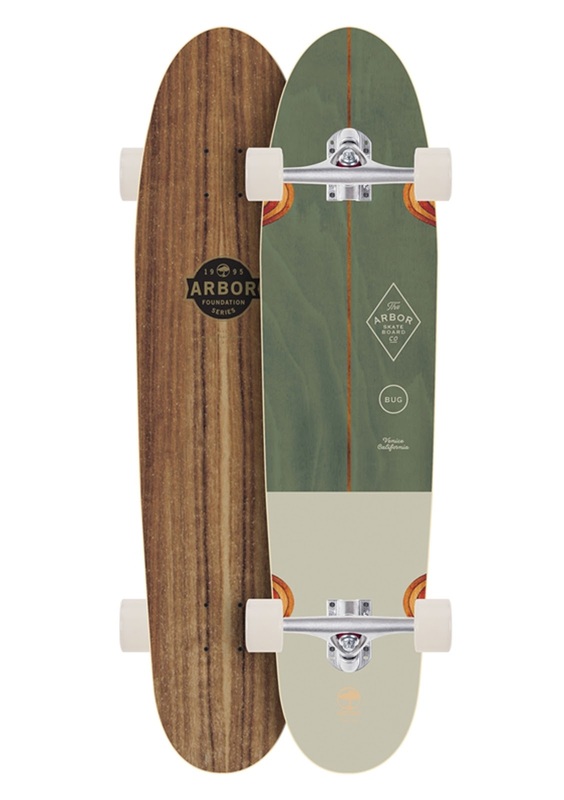 10% off all longboard completes from Sector 9, Arbor, and Loaded!! 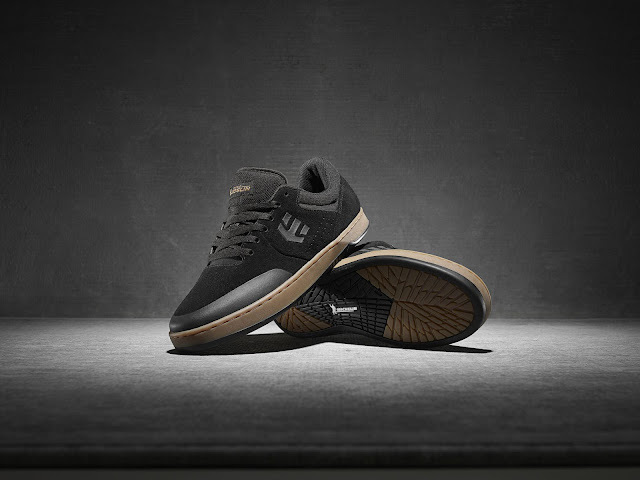 The Hupper 2 Low from HUF is durable from the ground up with a refortified higher profile and 3D fox tape for longevity, grip, and stability. Can't go wrong with this shoe. 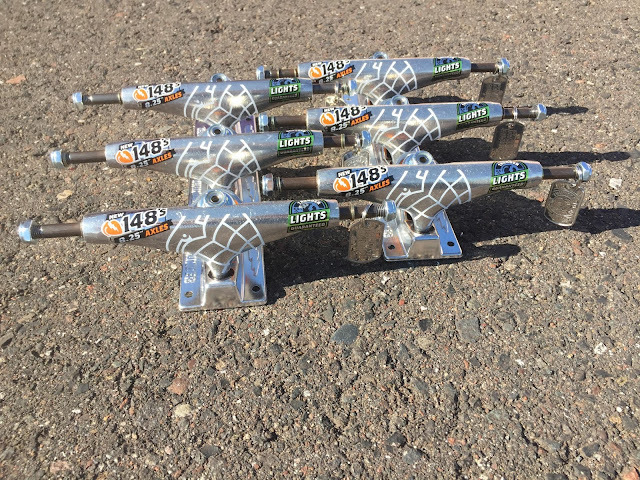 These THUNDER 148 "lights" are built with aircraft grade hollow kingpins, and strong, lightweight, forged aluminum baseplates. The 148 axle is designed to perfectly fit an 8.25" deck. Grab a pair today and ride the Thunder. We have an abundance Real decks on our board wall to choose from! 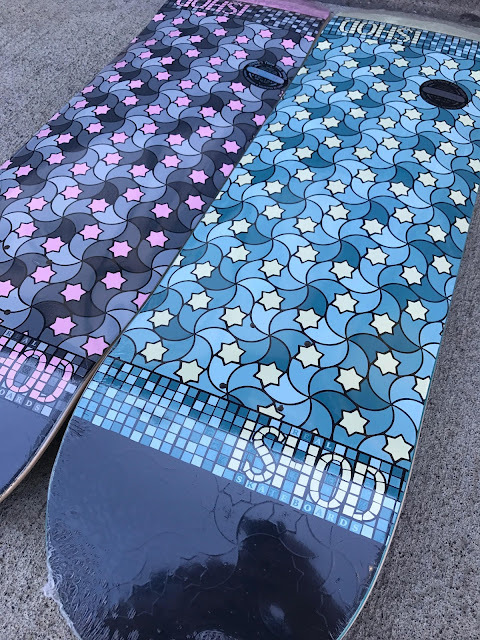 Ishod's deck is a twin shape (symmetrical nose and tail). 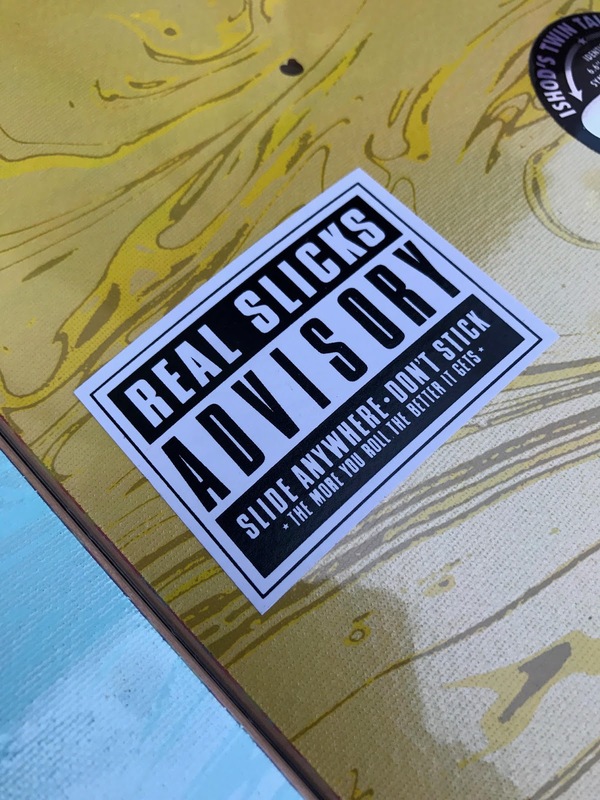 Real's "Slick" decks are constructed with an exclusive long lasting, ribbed polymer that is fused to the bottom ply so you can basically slide anywhere. How do you make one of the most durable shoes in the world even better? 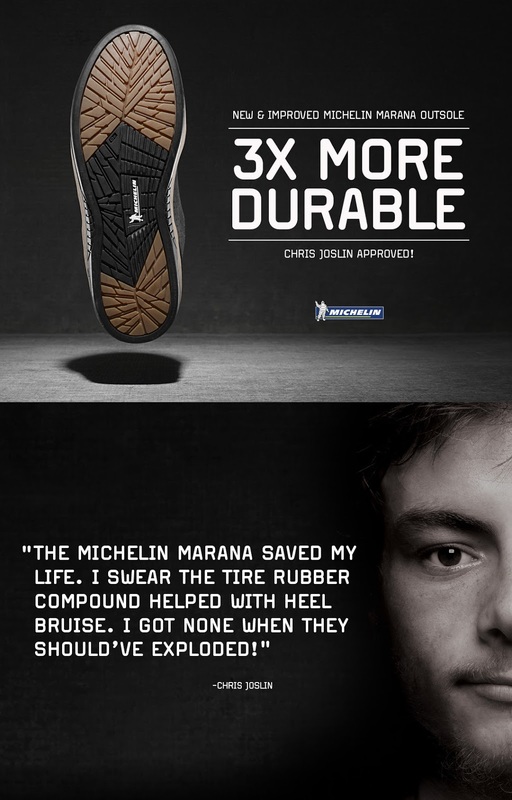 You partner with one of the best rubber companies in the world. 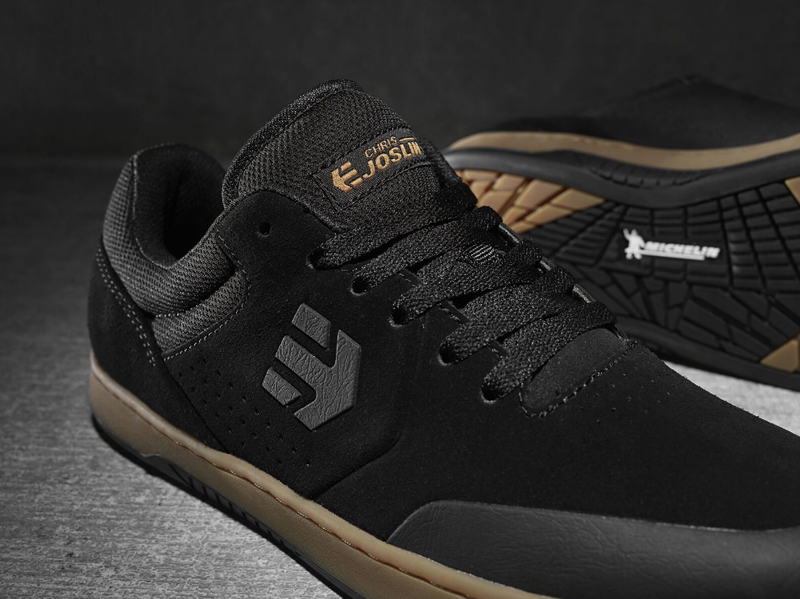 The new and improved Etnies Marana is made with a Michelin rubber outsole which is 3x more durable and 2x more grippy than the original. Aside from having a long-lasting outsole the Marana features an STI Evolution Foam midsole, a fused on toe cap, padded tongue and collar, and hidden lace loops. *As part of our summer sale buy any regular priced shoe and get a pair of sale shoes for $35! 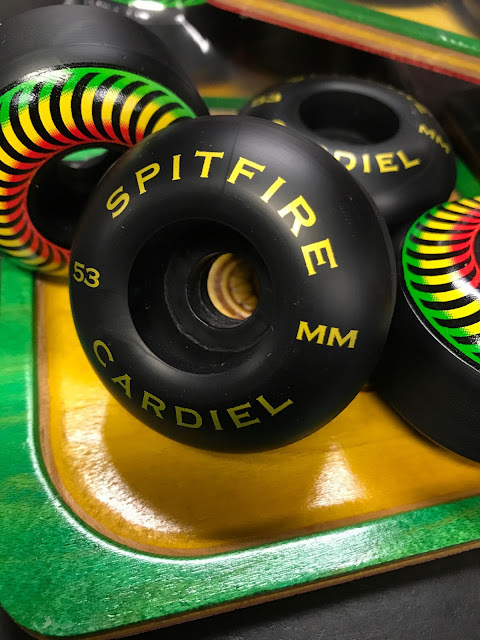 John Cardiel's pro model wheel from Spitfire is a heater! They come in 53's and 55's with 99a durometer for a perfect blend of speed, grip, and slide. 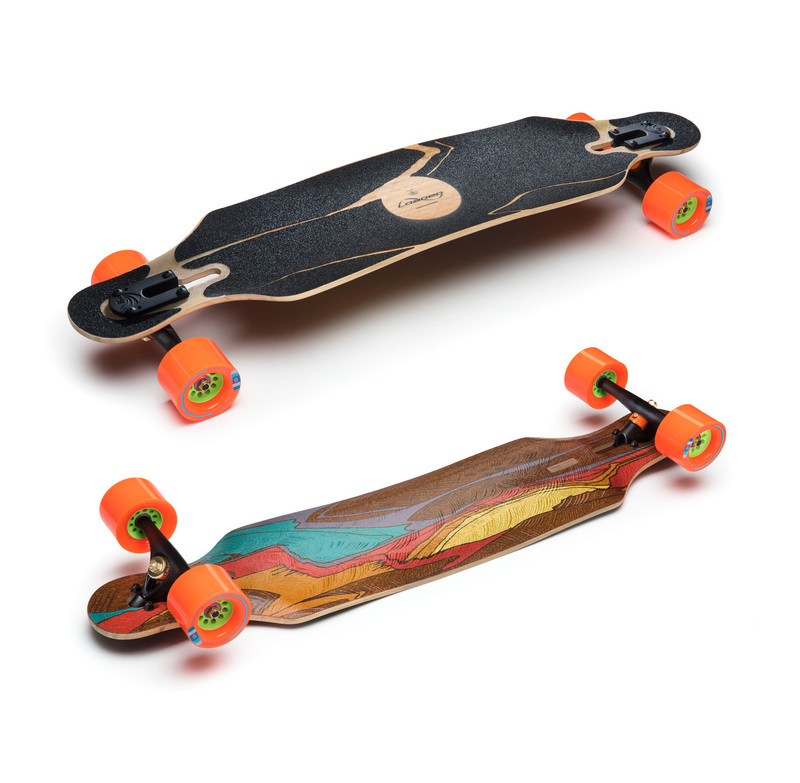 The pack comes with a tray made of rasta-colored veneers to keep you rolling and burning. 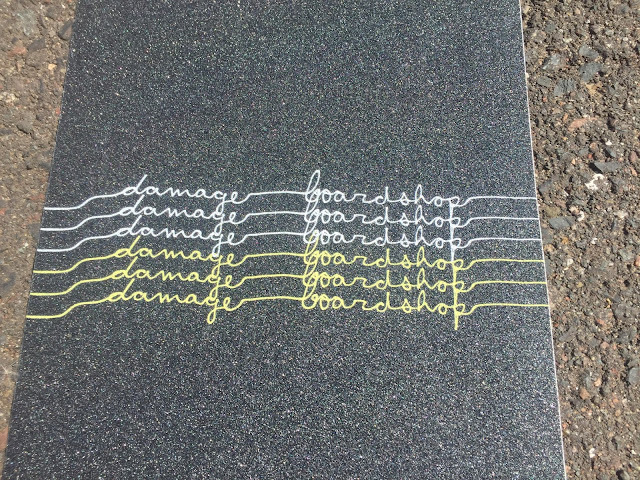 Last October we sadly lost one of the most respected and stylish skaters of any era. 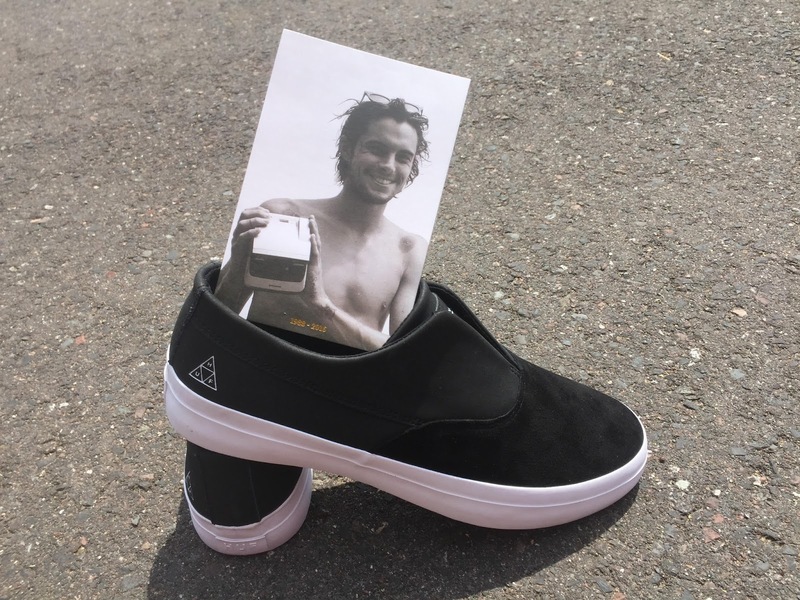 Dylan Rieder's legacy lives on with his pro model shoe, the Dylan Slip On from HUF. 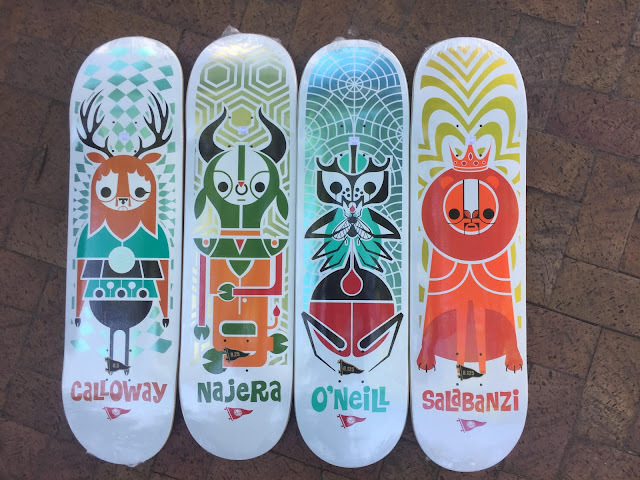 A collaboration with artist Don Pendleton, the "Pendleton Zoo" series highlights each rider's spirit animal. 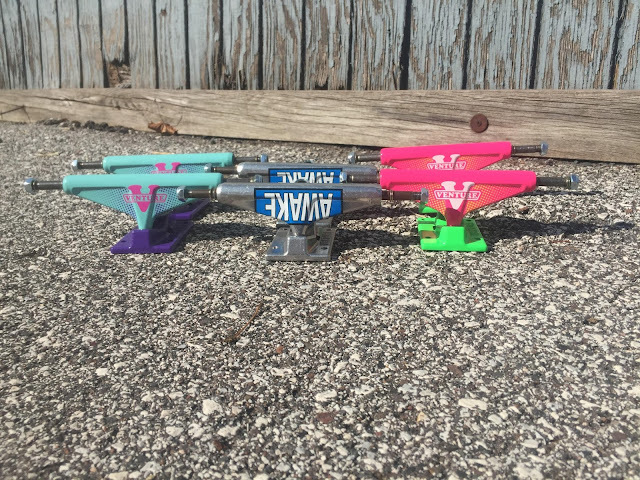 Check out Shane, Nick, and Devine tearing it up in L.A. on their pro models! 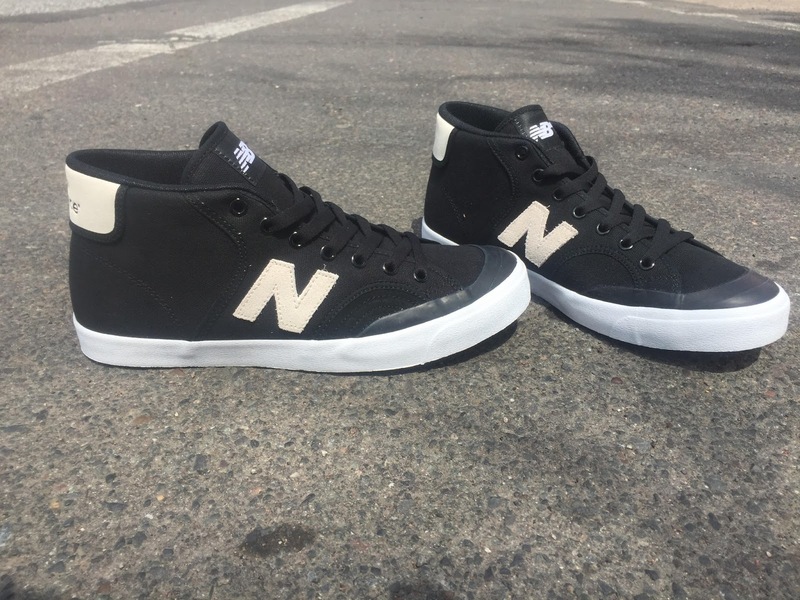 The Pro Court 213 is an attractive mid-top shoe from New Balance that offers dual-layer construction and closed cell polyurethane insert protection for a consistent fit. Hats and hoods are on the floor! 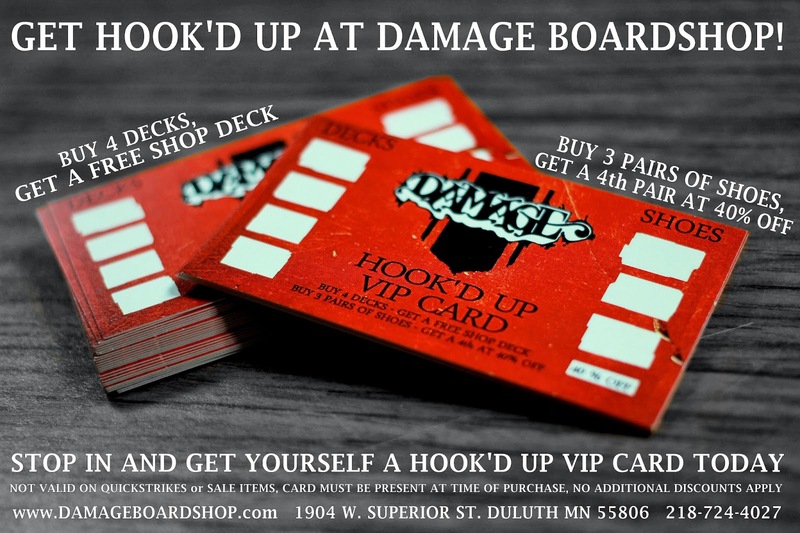 Stay away from crowded stores and parking lots and shop at DAMAGE! 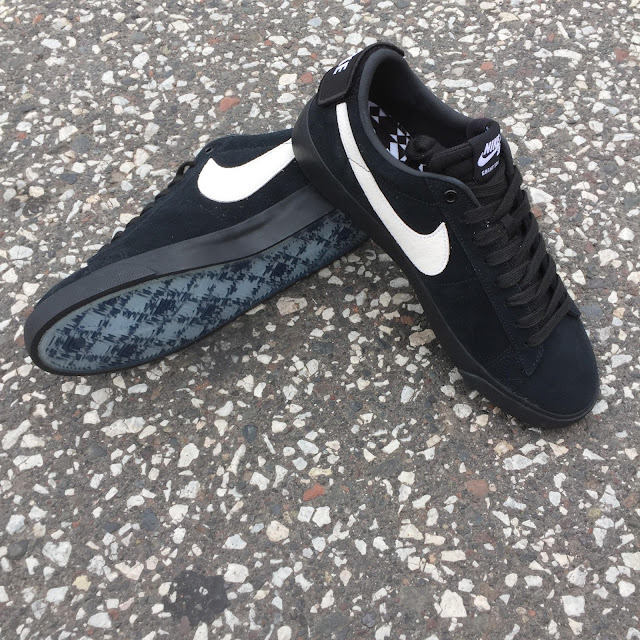 The Blazer Low Grant Taylor is a classic shoe that's built to ride with the Nike Zoom Air unit in the heel for impact absorption and traditional vulcanized construction for a streamlined fit. Featuring a removable heel logo and a patterned outsole, this color up is an ode to the notorious Atlanta skate spot, "Black Blocks." HAVE YOU SAW MY HANDS!? We are proud to announce the "HAVE YOU SAW MY HANDS?" collection. 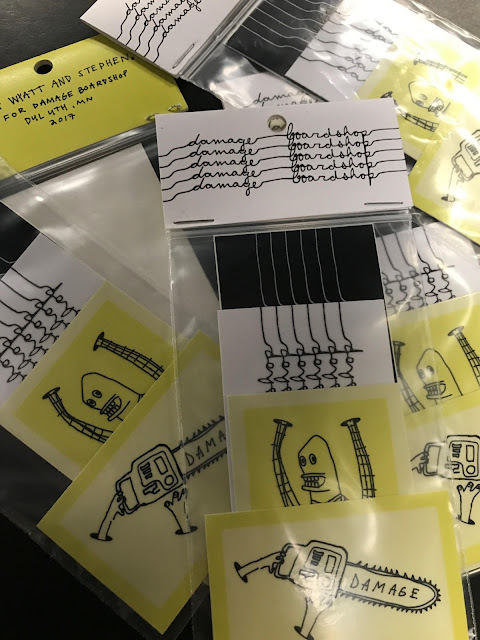 A collaborative effort between Stephen Pestalozzi and Wyatt Lindberg. Together they designed a deck, two sheets of grip, and four stickers. 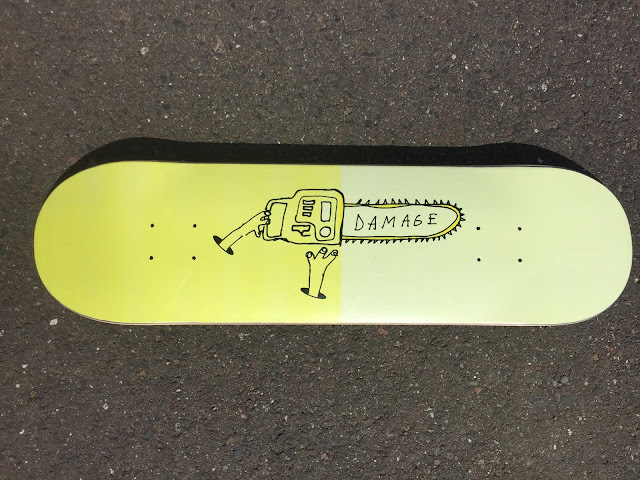 The "chainsaw" graphic was inspired by our first shop deck from 2005. The "woodsman" grip was inspired by Wyatt's dad, and younger brother Walker. They both enjoy hunting, fishing and being outdoors. For a limited time get a FREE sticker pack with the purchase of a "chainsaw" shop deck and a sheet of shop grip!